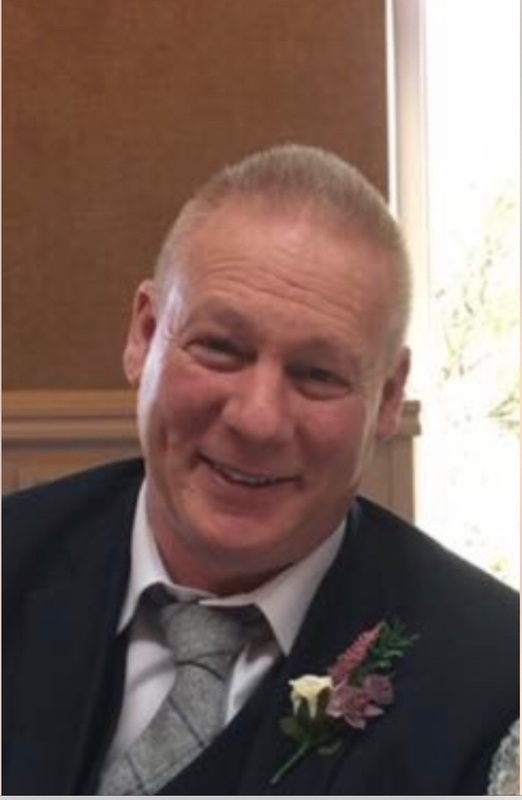 Sharpe (10 Mullaghboy Road, Bellaghy and formerly Warringstown) 17th April 2019 (peacefully in The Macmillan Unit at Antrim Area Hospital) Garfield Douglas (Gary) RIP, devoted and precious husband of Jacqueline and much loved son of the late Marjorie and step father Sam Thompson. "House Strictly Private" Funeral service on Friday at 11am in St Mary's Church Bellaghy followed by burial immediately afterwards in the adjoining cemetery. Deeply regretted by his sorrowing wife, best friends Penny and Milly and everyone who knew and loved him so much. Sacred Heart of Jesus have mercy on his soul. Family Flowers only please, donations in lieu if desired to "Macmillan Cancer Support" c/o Gary's wife Jacqueline. Halecka (34 Waveney Avenue, Ballymena) 19th March 2019 (peacefully at hospital) Jozef RIP, beloved husband of Zdenka and much loved father of Janka and Darina. Funeral Mass on Wednesday 27th March at 11am in St. Anthony’s Church, Belfast, BT6 8HR followed by cremation immediately afterwards in Roselawn Crematorium. Deeply regretted by his sorrowing wife, daughters and all his family and friends who loved him so much. On his soul sweet Jesus have mercy. Devlin (68 Carmagrim Road, Ahoghill) 7th March 2019 (peacefully at home) Patrick (Paddy) RIP, beloved son of the late William and Annie and much loved brother of Kathleen (Mc Kenna), James and the late Mary Anne, Brigid (Mc Erlean), Willie John, Teresa (Murray), Nancy and Roddy. His remains left his nephew William's residence 67 Carmagrim Road on Saturday 9th March at 10.20am for 11am Requiem Mass in St Mary's Church Ahoghill, his burial took place immediately afterwards in the adjoining cemetery. His passing was deeply regretted by his sorrowing brother, sister, brother in law Clement, sister in law Eileen, nephews, nieces and large family circle. On his soul sweet Jesus have mercy. Cwen (138 Dunclug Park, Ballymena) 13th February 2019 (suddenly) Dorota RIP, beloved wife of Janusz and much loved mother of Wojtek. Dorota’s remains were reposing in our Funeral Home, 41 - 43 Mount Street, Ballymena, BT43 6BN. Visitors were welcome to call and pay their respects on Thursday 21st February from 7pm - 8pm. Dorota’s passing was deeply regretted by her sorrowing husband, son and all her family and friends who loved her so much. Our Lady of Lourdes pray for her. Duffin (91 Loughbeg Road, Ballyscullion) 16th February 2019 (peacefully at home) Benny RIP, beloved husband of Virginia and much loved father of Catherine (Kate) Lagan, Donna (Murray), Cormac and Neil John. His remains left his late residence on Monday 18th February at 10.15am for 11am Requiem Mass in St Joseph’s Church, Ballyscullion and his burial took place immediately afterwards in the adjoining cemetery. Benny’s passing was deeply regretted by his sorrowing wife, sons, daughters, sons in law Tommy and Peter, daughters in law Bernie and Ciara, grandchildren, great grandchildren and all the family circle. On his soul sweet Jesus have mercy. Family flowers only please, donations in lieu if desired to “Saint Vincent De Paul” c/o the family. NB: Benny’s wake officially commenced on Saturday at 7pm in his late residence. Quinn (130 Shore Road, Toome) 10th February 2019 (peacefully at home) Matt RIP, beloved husband of Anna and much loved father of Dolores (Mc Aliskey), Geraldine (Ward), Terri (Traynor) and Matthew and loving brother of the late Cathy, John, Charlie, Phil and Peter. His remains left his late residence on Wednesday 13th February at 1.15pm for 2pm Requiem Mass in Sacred Heart Church, Cargin and his burial took place immediately afterwards in the adjoining cemetery. Matt’s passing was deeply regretted by his sorrowing wife, son, daughters, sons in law, daughter in law, grandchildren and all the family circle. Sacred Heart of Jesus have mercy on his soul. NB: Matt’s wake officially commenced on Monday 11th February at 6pm at his late residence. Mc Erlain (Yeahill, Gloverstown Road, Toome) 30th January 2019 (peacefully at hospital) Helen RIP, beloved daughter of the late Patrick and Kathleen and much loved sister of Patrick, Joseph and Maya (Mc Adam). Her remains were removed from her late residence on Friday 1st February at 5.30pm to Our Lady of Lourdes Church, Moneyglass. Requiem Mass was on Saturday 2nd February at 11am and her burial took place immediately afterwards in the adjoining cemetery. Helen’s passing was deeply regretted by her sorrowing niece Siobhan (O’Neill), husband Andrew, grand niece Orlaith, nephews, nieces and all the family circle. Sacred Heart of Jesus have mercy on her soul. NB: Helen’s wake officially commenced on Thursday evening at 8pm in her late residence. Scullion (nee Sweeney) (49 Beechland Gardens, Clady and formerly Ballymena) 30th January 2019 (suddenly) Patricia RIP, devoted mother of Shauna, Eamon, Alex and the late Paul and much loved sister of Catherine. Her remains left her late residence on Saturday 2nd February at 10.30am for 11am Requiem Mass in St Oliver Plunkett’s Church Clady, BT44 8NN and her burial took place immediately afterwards in Cushendall Road Cemetery, Ballymena. Patricia’s passing was deeply regretted by her sorrowing son, daughters, sister, brother in law Dominic, grandchildren Ava, Georgie Patricia, Michael Paul and Alexa and all the family circle. Our Lady of Lourdes pray for her. Family flowers only please, donations in lieu if desired to “Kilronan School, Magherafelt” c/o the family. NB: Patricia’s wake officially commenced on Thursday evening at 8pm in her late residence. O’Neill (17 Clooney Road, Ahoghill) 19th January 2019 (peacefully in The Macmillan Unit, Antrim) Peter RIP, beloved husband of Inez, much loved father of Richard, Padraig, Martina, Kevin, Barry and Peter and loving brother of Sheena, Dominic, Margaret, Martina, Edel, Grainne and the late Barry. His remains left his late residence on Tuesday 22nd January at 10.15am for 11am Requiem Mass in St Mary’s Church Ahoghill and his burial took place immediately afterwards in the adjoining cemetery. Peter’s passing was deeply regretted by his sorrowing wife, sons, daughter, brothers, sisters, in-laws, grandchildren and all the family circle. On his soul sweet Jesus have mercy. Family flowers only please, donations in lieu if desired to “Macmillan Support” c/o the family. NB: Peter’s wake officially commenced on Sunday at 6pm in his late residence 17 Clooney Road, Ahoghill. Hyndman (4 Bannview Terrace, Portglenone) 11th January 2019 (peacefully at home) Liam RIP, beloved husband of Kathleen, much loved father of Gareth, Tracey, Andrea and Claire and loving brother of John, Jimmy, Patsy, Lizzie and the late Tilly. His remains left his late residence on Monday 14th January at 10.30am for 11am Requiem Mass in St Mary’s Church Portglenone and his burial took place immediately afterwards in Aughnahoy cemetery. Liam’s passing was deeply regretted by his sorrowing wife, son, daughters, brothers, sister, grandchildren and all the family circle. On his soul sweet Jesus have mercy. O’Hagan (nee Kinney) (formerly 13 Sunny Crescent, Cargan) 9th January 2019, (peacefully at Massereene Manor Nursing Home) Mary RIP, beloved wife of the late Neil and much loved mother of Elaine, Anne, Patricia, Michelle, Bernadette and Marie. Her remains left her daughter Patricia’s residence 23 Tuftarney Road, Newtowncrommelin, on Friday at 10.20am for 11am Requiem Mass in Mary Queen of Peace Church, Glenravel and her burial took place immediately afterwards in the adjoining cemetery. Mary’s passing was deeply regretted by her sorrowing daughters, grandchildren, great grandchildren and all the family circle. Our Lady of Lourdes pray for her. NB: Mary's wake officially commenced on Wednesday 9th January at 8pm in her daughter Patricia's residence: 23 Tuftarney, Road, Newtowncrommelin. Scullion (32 Casheltown Road, Ahoghill) 30th December 2018 (peacefully at hospital) James RIP, beloved husband of Mary, much loved father of Matthew and Hayden and loving brother of Trea, Bernie and the late Paddy Joe, Johnny, Leonard, Mary, Bridget and Margaret. James's remains were reposing in our funeral home at 85 Innishrush Road, Portglenone, BT44 8LG. Visitors were welcome to pay their respects on Monday 31st December from 3pm until 4.30pm whereby his remains were removed to St Joseph's Church Ballyscullion. Requiem Mass was on Tuesday 1st January at 11am and his burial took place immediately afterwards in the adjoining cemetery. James’s passing was deeply regretted by his sorrowing wife, sons, sisters, in laws and all the family circle. On his soul sweet Jesus have mercy. Mc Mahon (27 Beechgrove Manor, Ballymena) 20th December 2018 (peacefully at hospital) Peter RIP, beloved husband of the late Mary, much loved father of Bernadette, Seamus, Kieran, Anne, Carmel, Paul, Michael, Siobhan and Catherine and loving brother of Mick. His remains left his late residence on Saturday 22nd December at 11.25am for 12noon Requiem Mass in All Saints Church Ballymena and his burial took place immediately afterwards in St Patrick's cemetery Crebilly. Peter’s passing was deeply regretted by his sorrowing sons, daughters, sons in law, daughters in law, brothers in law, sisters in law, grandchildren, great grandchildren and all the family circle. On his soul sweet Jesus have mercy. NB: Peter’s wake officially commenced at 8pm on Thursday evening at his late residence. Mc Loughlin (Dublin and formerly Enniskillen) 18th December 2018 (peacefully at St Vincent's Private Hospital, Dublin, after a long and bravely fought illness, ) Terence (Terry) John RIP, (Ex Eircom Dublin), Late of Milltown Grove Apts, Milltown, Dublin, beloved son of the late Sean & Glory Joan, partner of Fran and dear brother of Brian, Shivawn, Meave & Ellish. Prayers were on Thursday 20th December at 7pm in our Funeral Home, 85 Innishrush Road , Portglenone, Co. Antrim BT44 8LG. Requiem Mass took place on Friday 21st December at 2pm in St.Michael's Church, Enniskillen followed by burial immediately afterwards it Breandrum Cemetery. Terence’s passing was deeply regretted by his sorrowing partner, brother, sisters, nephews , nieces and extended families in Sligo & Portglenone. Sacred Heart of Jesus have mercy on his soul. Downey (17 Hugomont Park, Ballymena and formerly Cloney) 14th December 2018 (peacefully at home) Martin RIP, beloved husband of Edel, much loved father of Eamonn, Thomas and Nicky and father in law of Julie, loving son of Brigid and the late Joe and dear brother of Mary, Joe, Kate, Domonic and Sean. His remains left his late residence on Monday 17th December at 10.15am for 11am Requiem Mass in St Mary's Church Ahoghill and his burial took place immediately afterwards in the adjoining cemetery. Martin’s passing was deeply regretted by his sorrowing wife, sons, daughter in law, mother, brothers, sisters, brothers in law, sisters in law, nephews, nieces and all the family circle. On his soul sweet Jesus have mercy. Family flowers only please donations in lieu if desired to “Cancer Research” c/o the family. Higgins (nee O’Reilly) (5 Bannview Terrace, Portglenone) 28th November 2018 Mary RIP, beloved wife of the late William (Willie). Her remains were reposing in our Funeral Home, 85 Innishrush Road, Portglenone, BT44 8LG. Visitors were welcome to pay their respects on Friday 30th November from 3pm - 5.30pm when her remains were removed to St Mary’s Church Portglenone. Requiem Mass was on Saturday 1st December at 10am and her burial took place afterwards in Aghnahoy Cemetery. Mary’s passing was deeply regretted by her sorrowing nephews, nieces, friends, neighbours and all the family circle. Ar dheis De go raibh a hanam dilis. Esler (nee Lyness) (7 Carnvale, Ballymena) 23rd November 2018 (peacefully at hospital) Olive RIP, beloved wife of Terence, much loved mother of Louise, Gerard, Terence, Noreen, Sharon, Barbara and Philip, and loving sister of Lily, Theresa, Mark, Michael, Barry, Anne and the late Walter, Noel and Michael. Olive’s remains were reposing at her daughter Noreen’s residence 9A Galgorm Lodge, Ballymena BT42 1GL from where they left at 9.25am on Monday 26th November to All Saint’s Church Ballymena for 10am Requiem Mass and her burial took place afterwards in St Patrick’s Cemetery Crebilly. Olive’s passing was deeply regretted by her sorrowing husband, sons, daughters, brothers, sisters, in laws, grandchildren, great grandchild and all the family circle. Our Lady of Lourdes pray for her. NB: Family time requested please from 11pm - 11am. NB: Olive’s wake officially commenced on Saturday at 8pm in 9A Galgorm Lodge, Ballymena BT42 1GL. Madden (nee Tohill) (16 Brennan Court, Magherafelt and formerly Greenlough) peacefully at hospital, Rosemary RIP, beloved wife of the late Colm, much loved mother of Pauline and Sean and loving sister of Malachy and the late Anna, Willie, Jimmy, Peggy, Pat, Harry, Gusty, Paul and Alex. Her remains were removed from our Funeral Home: 85 Innishrush Road, Portglenone, BT44 8LG, on Saturday 24th November at 4.30pm to The Church of The Assumption, Magherafelt. Funeral Mass on Sunday at 12noon and her burial took place afterwards in St Mary’s cemetery Greenlough. Rosemary’s passing was deeply regretted by her sorrowing son, daughter, brother, grandchildren Christopher, Cathy, Daniel and Ben, in laws and all the family circle. Our Lady of Lourdes pray for her.